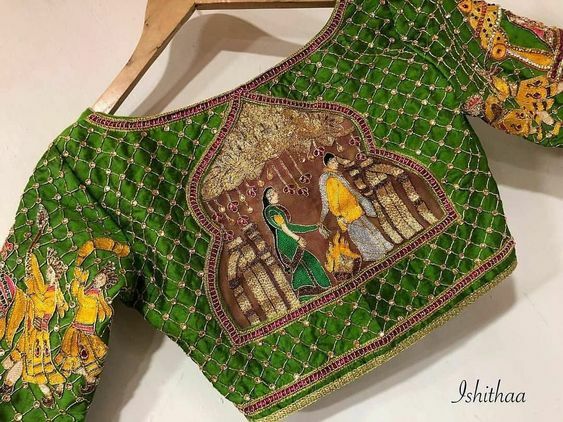 Traditional Bridal blouses are full of embroideries which make them look unique and high on bling which is a perfect combination for any bridal wear. 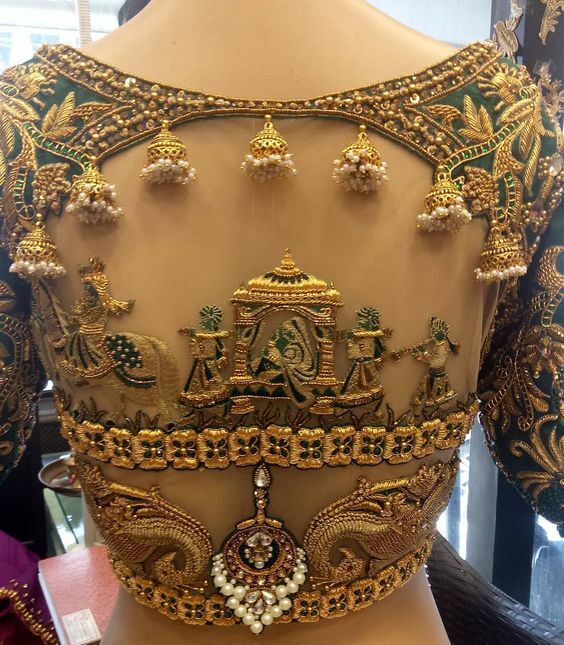 But having a unique and different embroidery motifs is what makes your bridal wear stand out from the rest. 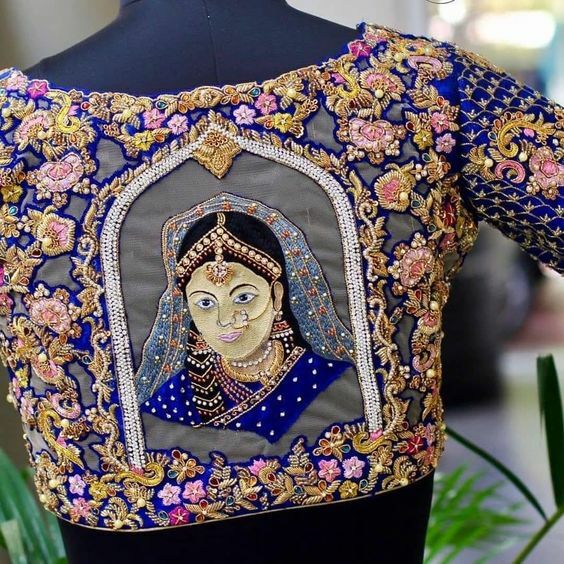 Here are few embroidery ideas which the new age brides can try for their bridal wear…..
Doli embroidery– Depiction of the bride in a doli with the groom alongside, is a great way to add a touch of wedding traditions to your attire. Adding jewellery elements like jhumka or jhumar adds an ornate touch which is perfect way to glam up the garment for a day like this. You can go for a cutwork embroidery in this style which makes the design more alluring, or can also opt for the simple version with the fabric on the back. 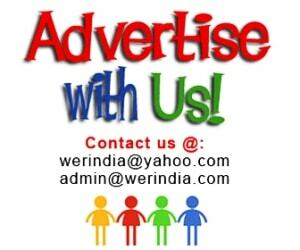 Radha krishna– Generally the godly figures like Radha Krishna are associated with the bride and the groom, and is widely used by the brides in the form of embroidery or paintings for their garments. Phera– Embroidery motifs depicting the traditional phera ceremony is another idea which can be done on the bridal blouses. 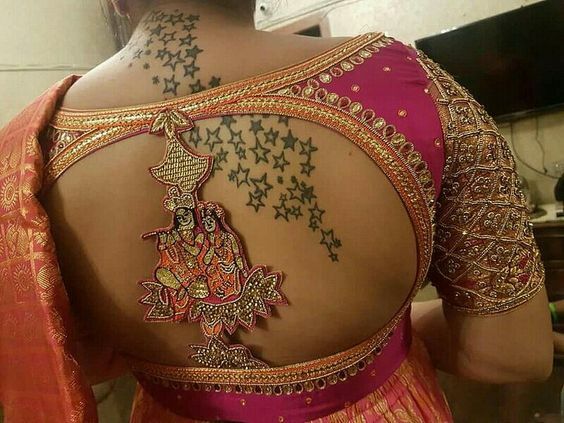 Bride as a motif– The bride can also get the back embroidery done in a motif showing the traditional Indian bride, which can be embroidered over a sheer fabric like a net or a tissue. Match it up with jewelry– You can also pick up motifs by taking an inspiration from your bridal jewelry and match the embroidery colors to the color of jewelry itself. This way it looks like an extended version of the real jewelry, depending on the fact that how finely it is done. 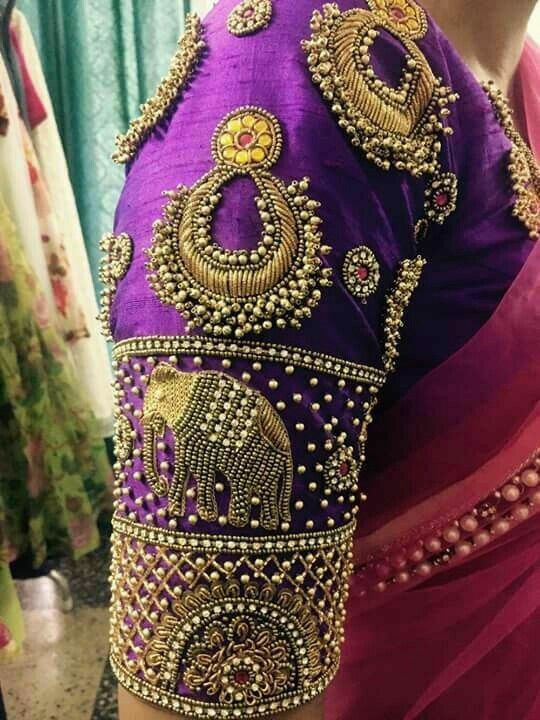 You can get a bajuband done on the sleeves like this and it will look like a real jewelry piece fixed there.